Southland Youth Futures is a community programme being run in the lower part of New Zealand. It’s linking young people with career and training opportunities in primary sector-related industries – farming, horticulture, forestry, primary processing, manufacturing, trades, environmental monitoring, science and technology, professional support services (farm consulting, accountancy, legal etc), exporting. “This year there have been 16 talks at 15 schools reaching 1375 students. These have involved 56 speakers representing 41 different companies – a pretty good result. 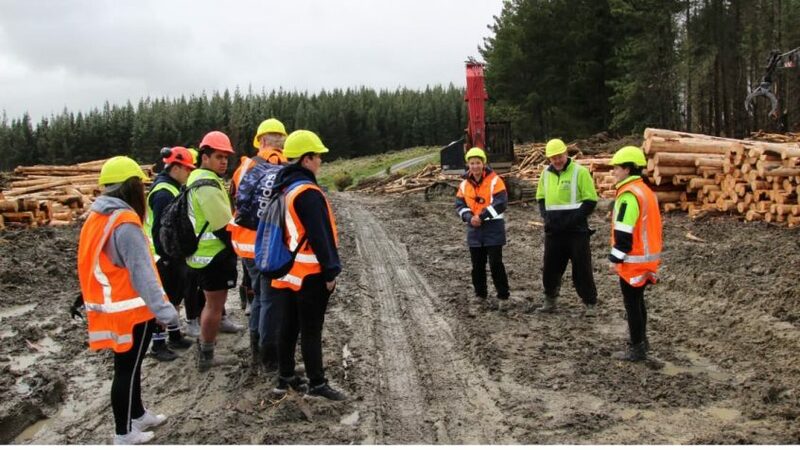 This year’s tour has involved taking 178 students and 23 teachers/tutors from 15 schools and foundation education courses to 10 different workplaces ranging from software development offices and the aluminium smelter at Tiwai to a robotic dairy farm and the forest.